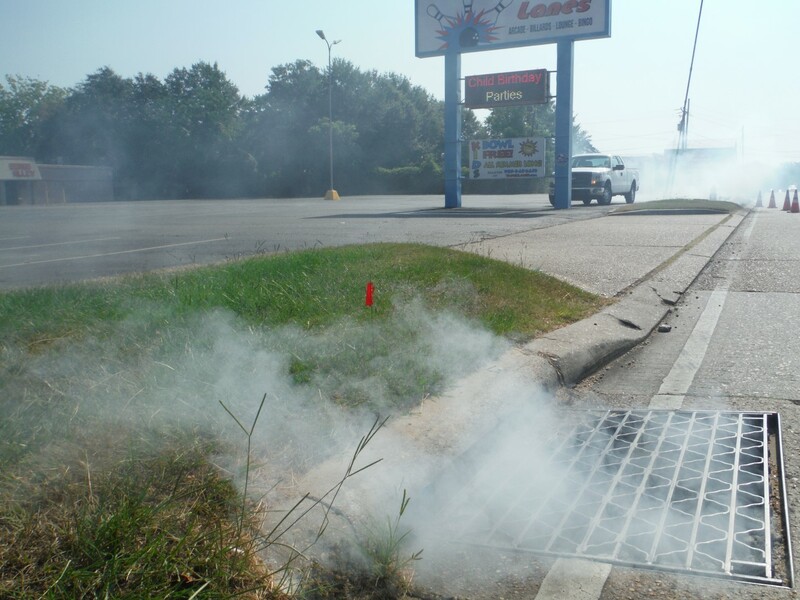 As the least expensive method of identifying inflow/infiltration in a collection system, smoke testing involves the introduction of a non-toxic vapor (smoke) into the sanitary sewer system. 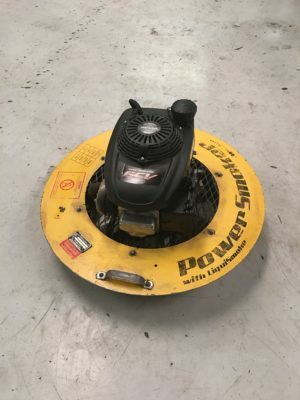 High-powered blowers force the smoke through a segregated line segment. 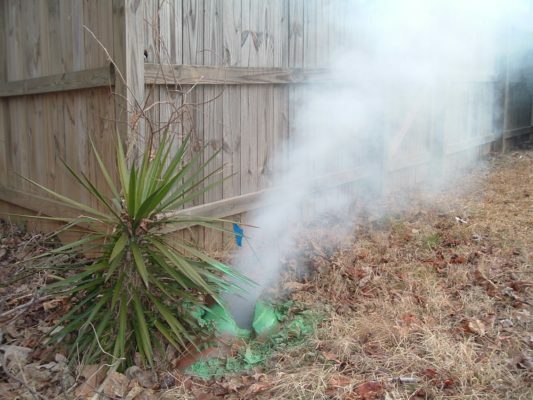 Field technicians then look for smoke exiting the sewer system through various locations, which include private property sewer service lines, open sewer clean-outs, mainline leaks, broken plumbing lines, yard drains, abandoned sewer lines, storm drains, and faulty manholes. These leaks or intentional tie-ins to the sewer allow rainwater to increase wastewater treatment costs exponentially. Once defects are identified, CES takes a GPS point to document the exact location for the client. CES also creates maps so that the client can plan proper rehabilitation. When smoke is found to be entering a building, it typically indicates two possible conditions. The most common cause of this is a dried up drain trap which can easily be remedied by pouring a small amount of water down the drain. However, smoke entering the building can also indicate the presence of defective plumbing which could potentially allow harmful sewer gases to enter as well. In that case, the resident is advised to contact a licensed plumber. If the harmless smoke can enter through faulty plumbing, the potential also exists for dangerous sewer gases to enter the residence. Drain traps should ALWAYS be filled with water to prevent sewer gases and odors from entering the building. CES takes several precautionary actions to ensure that smoke testing goes as smoothly as possible. Before smoke testing, CES contacts the local fire department, police department, public works officials, and city engineer. Every dwelling located within the smoke testing target area will receive an informative door hanger several days before smoke testing to educate the residents on the service being performed. 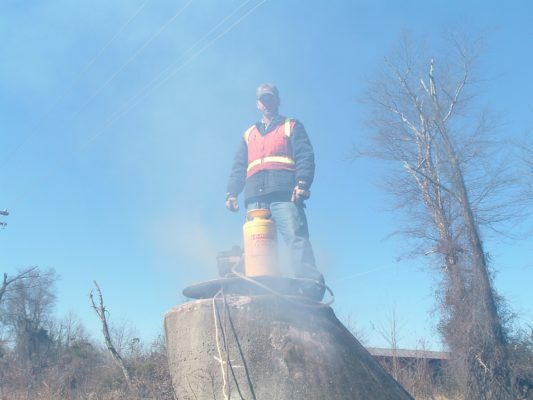 CES can complete up to 10,000 feet of smoke testing per day per crew. All data is reviewed by our Data Management Center before a comprehensive report is submitted to the client.